The music sampled in this podcast is “The Afterlife” by YACHT, “Readers! Do You Read?” by Chris Zabriskie, “Tea Top” by ROW, and “Separate Ways Remix” and “Walking All Day Long” by Willbe. 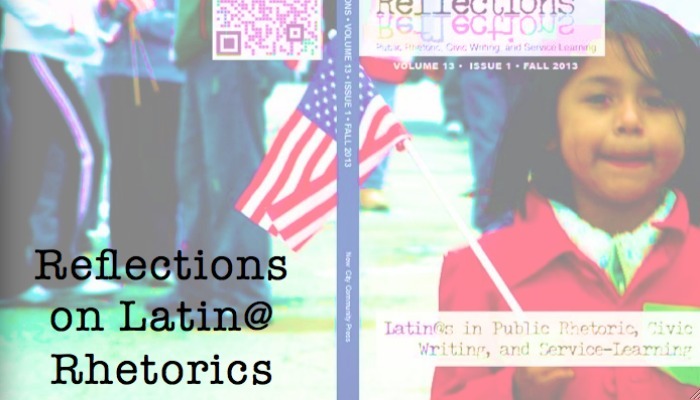 A real thoughtful discussion on regional Latin@ rhetorics, a necessary discussion. It’s interesting that some of these ideas (that Mexican Americans and their rhetorical tradition are “American,” or that Chican@ Studies improves student performance, etc.) are actually being criminalized and outlawed (particularly in Arizona). Thanks for composing this discussion… I plan to use it in my classrooms!